Published on July 8, 2009 in :: dad ::, :: family :: and i love la. 1 Comment Tags: :: dad ::, Michael Jackson, Paris Jackson. Though many of my friends were lucky enough to receive tickets for Michael Jackson’s Memorial at Staples Center, I was just grateful to have a job where I could work from home and avoid getting on any roads until it was all over. I brought my laptop into my TV room and worked with the Memorial playing in the background. 1) Al Sharpton mentions Asians! Al said, “It was Michael Jackson who brought Blacks & Whites & Asians & Latinos together. It was Michael Jackson that made us sing We are the World.” Whoo! It’s not just about being black or white… there are other colors, too! Because the performers for â€œWe Are the Worldâ€ and â€œHeal the Worldâ€ were not identified in the handouts at the Staples Center, a lot of people were wondering who this mystery singer was. 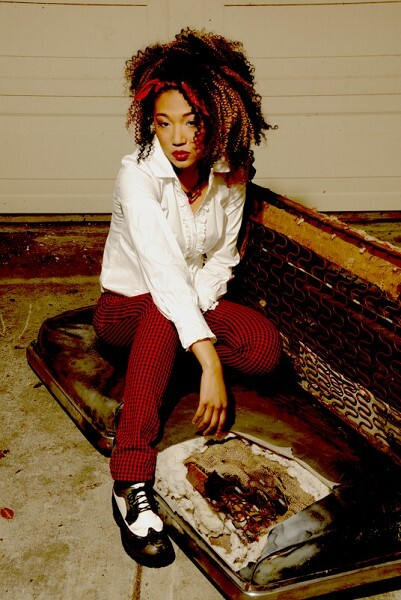 Rolling Stone later revealed her identity as Judith Hill, a Pasadena, California-based vocalist who was to be one of the backup singers for Jacksonâ€™s This Is It! concerts at Londonâ€™s O2 Arena. And, yes, it turns out this woman is indeed partly-Asian, her bio says: â€œJudith was born in Los Angeles and raised in a family of musicians. Her mother is an immigrant from Japan who met her father in a funk band in the 1970s.â€ (Check her myspace!) I thought she did an amazing job, especially considering that she and many of the other performers on stage were actually rehearsing with Michael just two weeks ago for the shows in London. This must have been a very emotional time for them, as well. Ok, so this one had no Asian connection, but having lost my father three years ago, I know how painful it is to lose someone you love like that. There is nothing quite like being Daddy’s Little Girl. And little Paris, who had the eyes of the world on her, was so very brave to speak from the heart in front of all those people like that. Thank you for the information. I am not Asian (I am Black)but was drawn to Judith’s incredible voice. Everyone was so choked up during their performances at the Memorial but she really shined through. Hats off to Judith…Keep up the great work.